Be My Bear – Bear Making Kit & Giveaway! Last week we had a delivery from Be My Bear, and online store who stock a large variety of different bears that can be made at home. The kids had looked on the website to find a bear that they wanted to have as their very own and a few days later a kit arrived containing the bear carcass (for want of a better word!) some stuffing an outfit and a few other bits and bobs to make the bears truly their own. Arlo spotted the Lion and decided that was the one he wanted after a bit of deliberation and he chose a Father Christmas outfit to dress him in. 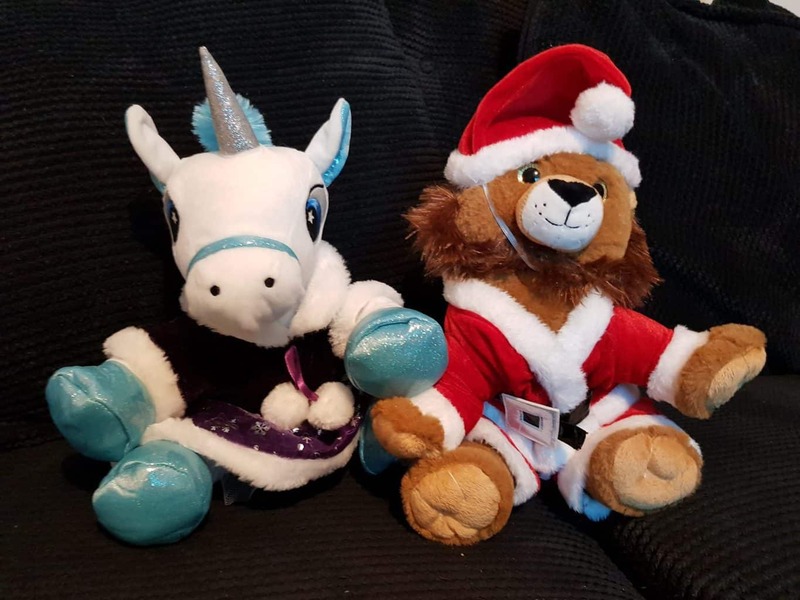 Athena is a little bit obsessed with unicorns as I think most 4 year old girls are so of course she went for a unicorn and chose a festive dress for her bear too. 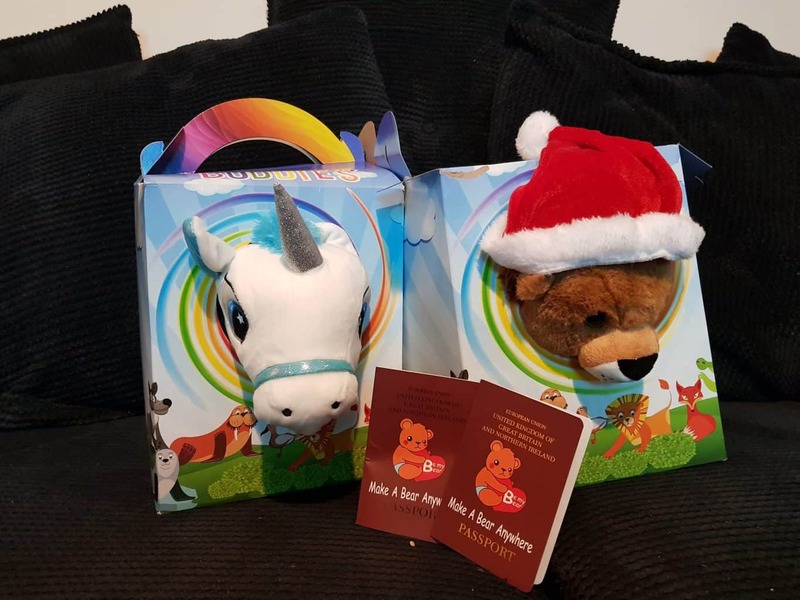 The bears arrived in a smaller box than I expected, and inside were the empty bears, two flat packed carry boxes for them, their stuffing, passports, outfits, wishes, birth certificates and passports! I have popped a little video below of us creating our bears, you can see the kids are really really pleased with them and it was a great way to spend an afternoon! 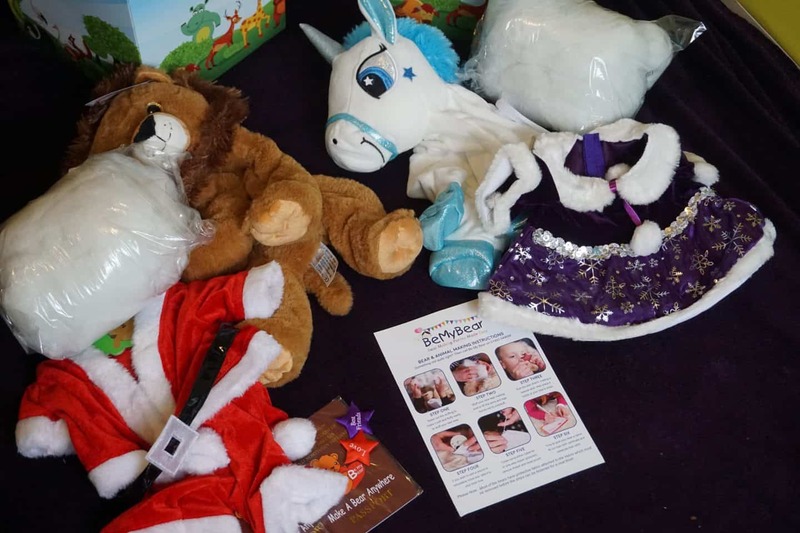 This is definitely something I would consider doing for children’s parties in the future as it means that you don’t have to faff around with goody bags as each child will get a bear to take home, and the activity is all there for you and it’s something that every kid would love to do! Be My Bear are also offering someone the chance to win their own Bear Making Kit too! You can enter below, and the winner will get to choose their bear and and outfit to go with it! The giveaway ends on Sunday 10th Decemeber at midnight. Good Luck! We were sent two kits for the purpose of this review - all words and opinions are my own.